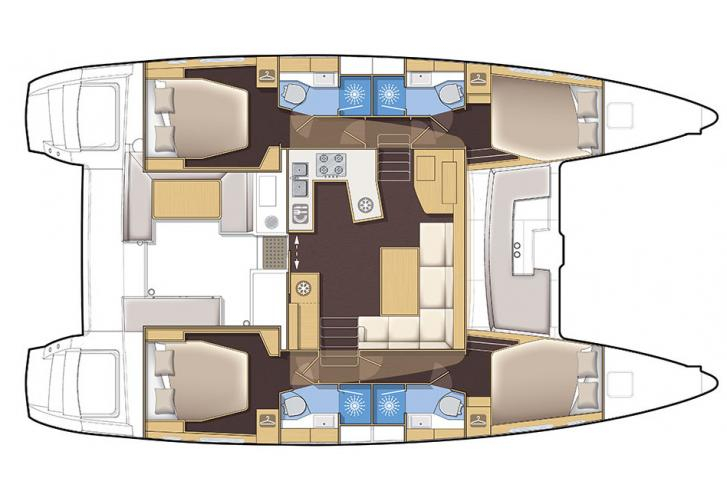 Blue Berry is a name of sailboat Lagoon 450 ,which was produced in 2018. 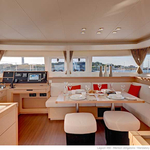 You can rent this yacht from port Trogir in the region: Split. Blue Berry is equipped with 12 beds. 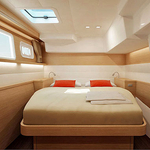 Sleeping places on the yacht are arranged in 12 8+2 salon +2 crew scheme. 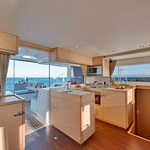 6 bedrooms are situated inside the yacht Blue Berry. 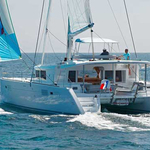 Browse for different boats by navigating to the section Catamarans Split. 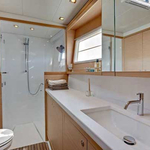 Guests can feel satisfied on this sailboat , because there are 5 WCs for their disposal. With 1000.00 l liters in diesel tank you can sail really far and still be independent because of 350.00 l l. in tank for water. Blue Berry is equipped with engine 2x40 hp. 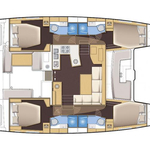 Yacht's dimensions are: lenght - 13.96 m , width - 7.84 meters and 1.30 m of draft. 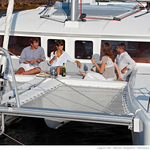 On the yacht there is following equipment: TV, DVD player, Bed linen, Air conditioning, Bed linen & towels, Icemaker, Radio / cd player, Gps plotter, Autopilot, Gps, Mainsail with lazy jack, Teak cockpit, Dinghy, Canoe, Outboard engine, generator. . Deposit accounts for 3000.00 EUR. 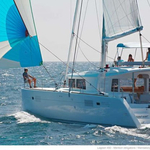 In our search machine you can easily check avalailability of boat Blue Berry from Trogir under this link: Catamarans Croatia.